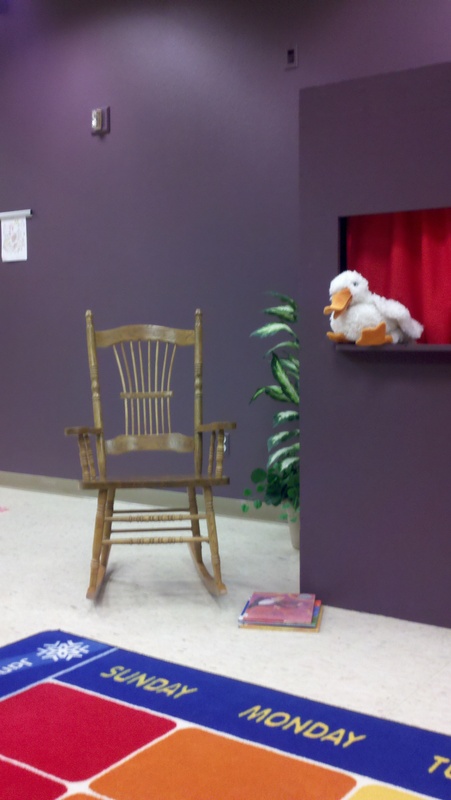 Introduction: We had a lot of new faces in storytime, so I started out by introducing myself and our storytime mascot, a puppet named Quacky (who’s handled by a library assistant in the puppet box). I then told them our big rule, which is that only librarians and ducks are allowed in front of the storytime carpet. I made this rule because we used to have problems with children coming up to pet Quacky during the stories, and when one child tries, everyone wants to pet Quacky and things can get pretty out of control. So I tell them that Quacky’s shy and if they step in front of the carpet, he’ll hide in the puppet box and won’t come out again until everyone sits down. This also prevents children from standing in front of the book and blocking the view. I do make a point to let the caregivers know that if anyone needs to get their wiggles out, they’re free to do so…just in the back of the room. Opening Song: Open Shut Them. This has been my library’s opening storytime song for ages, so I keep it going because it’s familiar to our regulars and it signals to the kids that storytime is about to start. 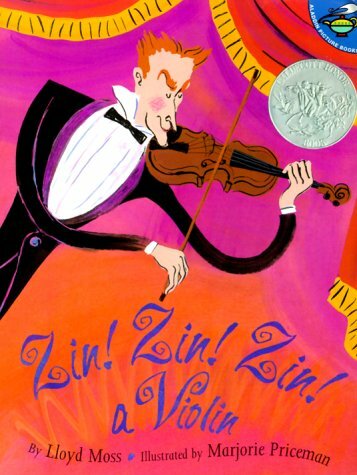 This book has a great rhythm to it, which makes it especially fun to read for a music storytime. It also introduces a variety of different instruments, as well as some new terminology (duo, quartet, encore, etc.) The illustrations are bright and colorful, and they feature two cats who hide amongst the instruments. My kids especially liked trying to find where the cats were hiding in some of the pictures. 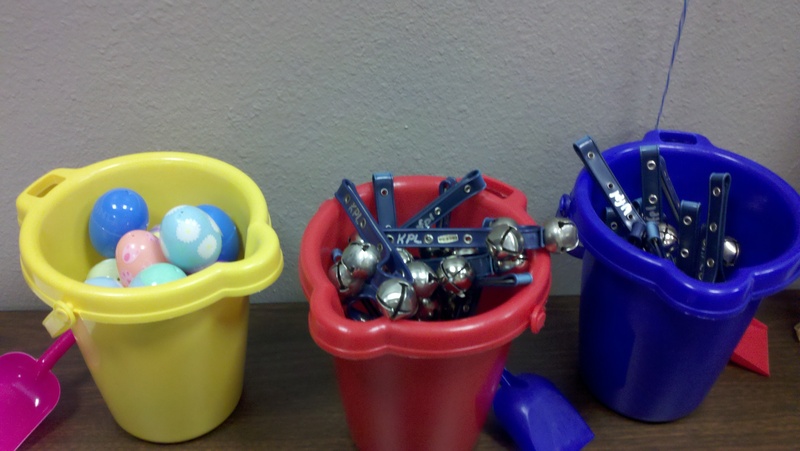 Every child got an egg shaker and a jingle bell, and we spent a few minutes making our own music by shaking them up high, down low, to the side, to the other side, with our eyes closed, and in a circle. We then played a game where we would shake the bells and eggs until I said freeze, then shake and freeze, shake and freeze. The children really loved this (and who can blame them?). Even some of the caregivers participated with big smiles on their faces! 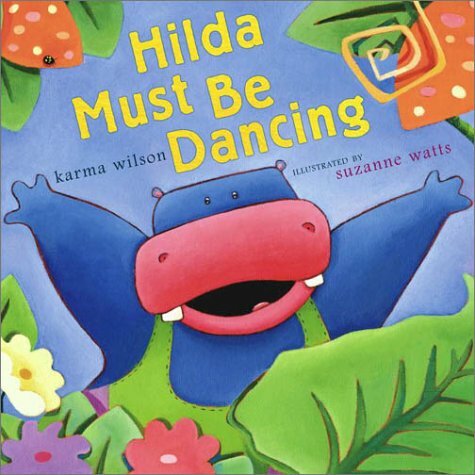 This is a charming book about a Hippo who loves to dance, much to the chagrin of her animal neighbors. After several attempts at trying to find a new hobby that doesn’t disturb her neighbors so much, Hilda finally discovers water ballet, and everyone is happy. Before we started this book, I asked the kids if they ever saw a hippo dance. Most of them said no, but one little girl pointed out that hippos dance in Fantasia. Before reading this one, we talked about how some people cannot hear, and how they use their hands to talk. We even practiced a few simple signs (and some of the kids already knew the sign for thank you). 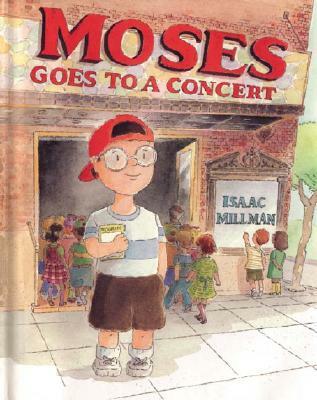 Then we launched into the book and read about how Moses and his classmates go to a concert and hold balloons in their laps to feel the music. The book runs a tad on the long side, and I had a few wigglers, but most of the kids seemed to like the book. Puppet Show: I Can Sing! While Quacky is present at every storytime (unless the library assistant is sick or on vacation), I try to do a proper puppet show at least once a month. So once we were finished with our books, we said goodbye to Quacky, and I joined the library assistant behind the puppet box to put on a show. I usually write the puppet show myself, and it almost always involves audience participation. This week’s puppet show was about a boy who didn’t know any songs, so we taught him some. Closing Song: Children, Children, Turn Around. Again, this has been my library’s closing song for ages, so I keep up the tradition. Normally after the closing song, we hand out coloring pages and stickers and that’s the end of storytime. This week, however, I added one extra activity. 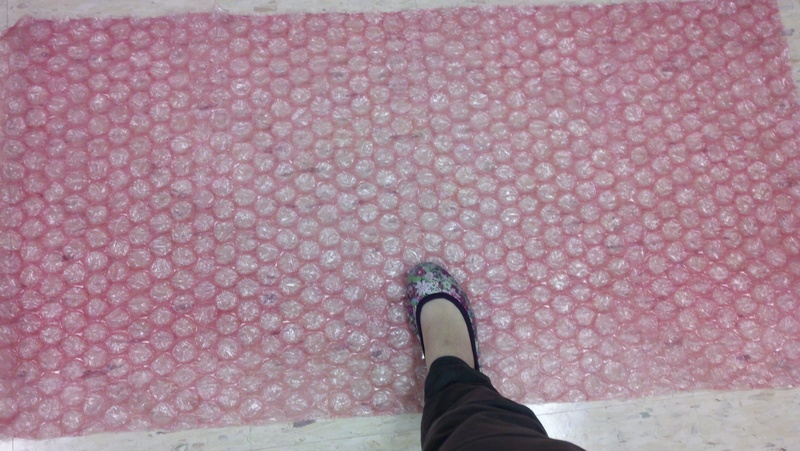 I taped a sheet of bubble wrap onto the ground and the kids made music by jumping on it on their way out. I think this was the grand finale of storytime because the kids had gigantic smiles on their faces as they jumped. I have the problem with kids standing in front of the book. My solution was to get off the floor and sit up higher! Maybe I should introduce a crowd control puppet. Thanks for sharing. I do sit in a rocking chair while I’m reading, but even then I would have kids stand right in front of the book. Introducing the rule has really helped because even if a kid tries to block the view, the caregiver will pull him or her back to the floor. Sometimes I forget to mention the rule, however, and that’s usually when a child will block the view. When that happens, I just pause and ask everyone to sit criss cross applesauce. The worst occurrence was when a rambunctious little boy tried to climb the puppet box and punch Quacky! Punching Quacky! I can’t believe what I’m reading! Yes I can, really, but not experienced any violence yet. In an effort to keep the little ones grounded, we have applied for money to buy some donut-shaped cushions, and can then also adjust the circle size depending on # of participants (we service a very small population). A seated rule will also help – thanks.